If your loved one has suffered from abuse or neglect at a Forest Park nursing home, know that they are not alone. Both neglect and abuse occur quite often across various Georgia nursing homes. That’s why at Schenk Smith we have designed our site with plenty of resources to assist you in your efforts of pursing a lawsuit against a nursing home. After you’ve had the chance to view all of our resources available, please give us a call so that we can discuss your case. We’re here to help you. Abuse and neglect are different, yet they both occur frequently in nursing homes. Neglect usually stems from an unintentional act that fails to provide residents a reasonable standard of care. Forgetting to clean a medical device before it’s used on a resident is an example of negligence. Abuse is an intentional act from a nursing home staff member or another resident with the intent to harm. Neither abuse nor neglect should ever be accepted in any nursing home. When is it appropriate to file a suit against the nursing home? If your loved one has suffered from neglect or abuse, then it is within their right, or yours if they’re unable to defend themselves, to pursue a lawsuit. Nursing homes in the state of Georgia are required by law to provide a reasonable standard of care. When they fail to do so, they may be held liable for any injuries that may occur. Nursing homes are responsible for making sure that they hire the right staff, and that their staff is properly trained. Neglect usually stems from when a nursing home fails to train their staff properly, fails to hire the right staff, or simply doesn’t have enough staff for all their residents. When any of these occur, residents are exposed to potential dangers that can cause serious injuries. If abuse has occurred – whether it’s from a staff member or a fellow resident – then the nursing home may be held liable, and it is within your right to pursue legal action. Dealing with elderly residents requires a great deal of patience. At times nursing home staff members may lose patience and act out, causing some form of abuse. If this occurs then residents can pursue legal action. Same applies for resident to resident abuse. If a resident is prone to physical violence, then the nursing home needs to make sure that the proper safety measures are taken so that the resident does not attack other residents. Can I use a hidden camera in a nursing home? When deciding to use a hidden camera, you need to consider important legal aspects. That’s why before you consider using a hidden camera, you need to research privacy and content laws. When you admit your loved one to a nursing home, you need to look over the contract you or your loved one sign with the facility in order to see if cameras are permitted within the facility, and within your loved one’s room. The best thing to do is to make sure you’re not deceitful. That is why if you are thinking of using a hidden camera, your first step should be to speak with an attorney, in order to see what your legal options are. If you take matters into your own hands and you end up breaking the law, you may end up having to pay big fines, and you might even face some jail time, even if you believe neglect or abuse has taken place against your loved one. We are Schenk Smith, your Forest Park nursing home lawyers. At Schenk Smith we are 100% dedicated to pursing legal action for residents that have suffered from any type of nursing home neglect or abuse. We do not practice any other form of law, nor are we interested in doing so. Our passion stems from our founding attorney Will Smith, who besides being a Marine, was also a CNA for a decade in different nursing homes around Georgia. Our singular approach and focus makes us very knowledgeable about any changes in law that may pertain to nursing homes. This knowledge along with our experiences and skills, helps us pursue lawsuits from residents that have suffered at the hands of nursing home neglect or abuse. When you go to our website, you’ll be able to access over 200 videos, countless podcast episodes, and various blog articles that are all dedicated to helping you in your fight against nursing homes. 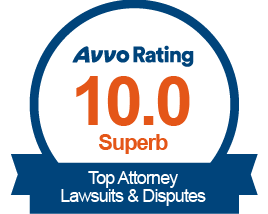 After you’ve had the chance to visit our site, please give us a call so that we can schedule a free consultation and discuss your case. We’ll come to you regardless of where you’re at. Whether you’re by the Atlanta Botanical Gardens, the Atlanta Cyclorama & Civil War Museum, or the Georgia Aquarium, we’ve got you. Nursing Home Abuse & Neglect in Forest Park, Georgia – What you need to know. Forest Park, Georgia is located in Clayton County, and has a population of 19,156 residents. Of those residents 9.20% are aged 65 and older. As with nursing homes in other parts of Georgia, neglect and abuse occur quite often. What are the categories of nursing home neglect? When nursing home staff members fail to assist residents with these routines, negligence will be evident. Residents that look dirty and smell bad are usually experiencing neglect from the nursing home staff. Unsafe and unsanitary living conditions can lead to unexplained injuries due to slip and falls, are running into pointy objects that can cut residents. Malnutrition occurs when the nursing home fails to feed their residents or fails to follow the proper diet set forth by the residents physician. Prolonged pressure causes tissue compression. What happens is that the force of the underlying bone presses against the surface, when the resident maintains a single position for a long period of time. This results in less blood flow, that eventually leads to tissue death. Shear force occurs when the skin is stationary, but the collagen, ligaments, or bone slides down through gravity. This closes the blood vessels, which leads to tissue decay and ischemia. Habitual friction is when the skin continues to rub against a surface, whether it’s a bed or a wheel chair. This causes the top layers of the skin to being to shear and eventually die. Who will be held responsible for the neglect? A claim against a nursing home will usually show that there may have been negligent supervision from employees, negligent hiring from the nursing home, and negligent maintenance. If any your loved one has suffered injuries due to nursing home negligence, then it is within their right and yours to pursue a lawsuit against the nursing home. My loved one was hurt in a Forest Park nursing home – What do I do next? If your loved one was injured, abused, or has passed away in a Forest Park, Georgia nursing home, then we advise for you to act immediately, in order to protect your loved one’s rights. The Healthcare Facility Regulation of The Georgia Department of Community Health, investigates cases of nursing home abuse and neglect against residents. This same division also regulates and certifies nursing homes in Georgia. Another office to a file a claim through is the Georgia Office of the Long-Term Care Ombudsman. This program consists of individuals who are dedicated towards resolving cases for residents that have suffered nursing home neglect or abuse. The Ombudsman are also authorized by law to enter nursing homes and ask questions. If you suspect that your loved one has been assaulted and has suffered injuries due to an unlawful act at their nursing home, then you should file a police report immediately. Depending on the severity of the crime, criminal charges may be brought against the perpetrator by the District Attorney’s Office: Clayton Judicial District. For abuse occurring in a Forest Park, Georgia nursing home, report the crime to the Police Department of Forest Park, Georgia or the Clayton County Sheriff. If your loved one has suffered from neglect or abuse at their nursing home, then it is in your best interest to search for a better suited facility. When you begin your search for a new nursing home, it is best to conduct walkthroughs and ask as many questions as possible, so that you can get a feel for the facility and the nursing home staff. Another tool to use is the Nursing Home Compare website. This website compiles data on nursing homes around the country, and gives them a rating based off a 5-star system. The scores are determined from a variety of factors including, quality, nurse-to-resident ratios, and inspection scores. For your convenience, a list of all nursing homes located in Forest Park, Georgia is located below, along with their contact information and inspection scores. If your loved one has been injured from some form of nursing home neglect or abuse, then it is imperative that you access your loved one’s medical records as soon as possible. The reason it needs to be done immediately, is because nursing homes will usually stop at nothing to place the blame on the resident. For example, if your loved one slips and falls over a puddle of water, and breaks a bone, the nursing home will stop at nothing to claim the bone was already broken. Even if all the evidence is stacked against the nursing home. To help your loved one with their pursuit of their claim, you’ll need to access their medical records. The records will show who the primary physician was, as well as information on the hospital visits. You will also need to obtain the nursing home medical records. These records will sometimes show signs of potential negligence or abuse that has been caused from the nursing home staff. Due to State and Federal third-party privacy laws, you will need to have the proper written authorization in order to get your loved one’s medical records. The written authorization will usually come in the form of a healthcare directive, a power of attorney, or guardianship paperwork. If your loved one has been injured at a Forest Park nursing home, then chances are their medical records will be located at one of the hospitals listed below. After you’ve obtained the proper written authorization form, your next step will need to be to make a request to the Release of Information Department of the hospital. If your loved one has passed away, their right to pursue their claim is still valid. A deceased person’s right to pursue their claim is turned over to the Estate. For example, the plaintiff will go from “Jane Doe” to “The Estate of Jane Doe”. 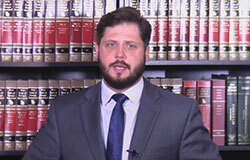 In order for the lawsuit to be filed, the Estate will first need to be established. The surviving spouse, child, or relative will need to petition the Probate Court of the County in which the deceased has passed. If you’re dealing with this situation, it is imperative for you to establish the Estate immediately. While doing so, you will need to appoint a representative who is often referred to as an Administrator or an Executor. This personal representative will then act on behalf of the Estate, and will make all the decisions with regards to the lawsuit. No two nursing homes are alike, as each have their own pros and cons. Below is a list of the nursing homes in Forest Park, Georgia, along with pertinent information for each. This information is taken from CMS’ Nursing Home Compare Website. Passion: At Schenk Smith we focus solely on helping elderly residents who have suffered from nursing home abuse or neglect. We are not interested in any other practice of law. Our attorneys attend and lead legal education seminars that are dedicated to nursing home cases. Our attorneys are also members of senior citizen advocacy groups. 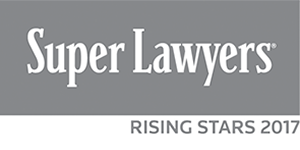 Top Rated: Our attorneys are highly regarded, as they have been selected as Georgia Super Lawyer Rising Stars. Which is one reason why we are the best Google reviewed law firm in Georgia that focuses on nursing home cases. We also have great client testimonials, which show why our clients think of us as family. Dedication: Even though we offer free consultations, we are selective with the cases we choose. But this means that we are ready and willing to use all of our efforts and skills to see your case through to trial. Our clients will deal almost exclusively with an attorney, rather than a case manager. We are dedicated to making sure our clients see the results they’re looking for, which for the past two years has resulted in millions in verdicts and settlements. If your loved one was injured or died in a Forest Park, Georgia nursing home, please call us at Schenk Smith (678) 823-7678 for a free consultation. You can also check out hundreds of video FAQs on our website.